Take a restful break to deepen your spirituality. The tranquil atmosphere of our country setting allows the retreatant to appreciate and be empowered by the healing effect of silence. During this retreat, you will meet daily with a spiritual companion who will walk with you on your spiritual journey. The swimming pool, chapel, labyrinth, art gallery, private bedroom, and country roads for walking add to the restful retreat environment. All meals included. 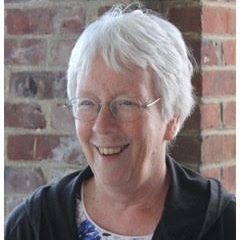 Cathleen Murtha, Daughter of Wisdom, has been offering retreats, programs, spiritual direction and supervision for almost forty years. She has worked with individuals, groups, communities and institutions in New England and New York. Her experience with Spiritual Directors International has broadened and deepened her appreciation of the ways in which we encounter the Holy and cooperate with God in the transformation of the world . Maria M. Decsy, Ph.D. is a certified spiritual director, retreat leader, co-founder and instructor of twenty-five years of the Fairfield University Spiritual Director Formation program. She is mother of four children and a very happy grandmother of three. Maria also holds degrees in Biochemistry, Chemistry Pastoral Ministry and Spirituality. Maria is a staff member and spiritual director at Our Lady of Calvary Retreat Center in Farmington, CT, and adjunct professor of Ethics and World Religions at an area college. Maria loves to travel the world, and brings her knowledge of many cultures to her teaching and ministry. Lisa Hudkins, MA is a retired teacher with 38 years in education. She has a BA and MA from The University of St. Joseph and an MA from The University of New England. Lisa attended her Spiritual Direction training at The Spiritual Life Center in West Hartford. She is now involved in their advanced training for Spiritual Directors. Lisa has been married to her childhood friend, Paul, for 43 years and they are the parents of two adult children. Since their son lives in Wyoming, you can find Lisa and Paul there frequently where they enjoy hiking in the Grand Tetons. Lisa and Paul have a little bundle of joy, and that is Gracie their 3-year-old boxer. She certainly “graces” their life! Family means everything to Lisa and she is often spending time with her 93-year-old Mother and her two little grandnieces as well as her sister, brother and their families. Lisa runs various book clubs up at Montfort House in Litchfield as well as periodic days of reflection. Lisa loves cooking, reading, walking Gracie, and traveling with Paul and their friends. Lisa enjoys bringing her love of contemplative practices and her love of Thomas Merton to her Direction sessions.